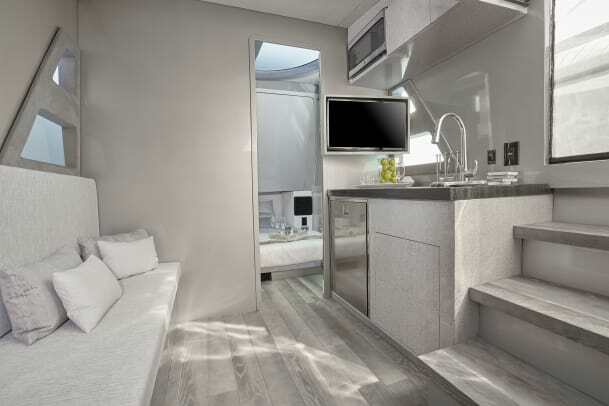 The 60-foot Pied-A-Mer signifies a growing trend toward larger center consoles, giving new meaning to the term "space race." But has it topped out? 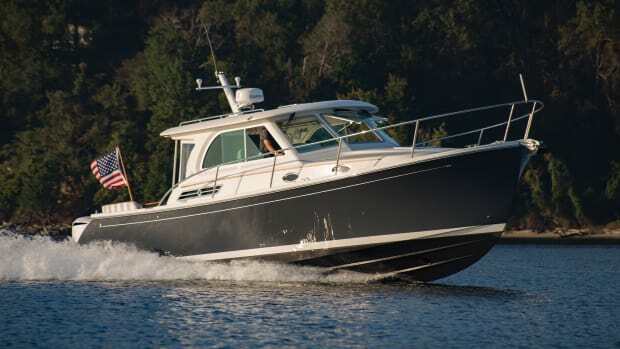 The Midnight Express 60 out for a run with one of her little sisters. At the height of the Cold War, the space race between the United States and Soviet Union became the logical extension of the growing arms race between the two competing international superpowers. When Sputnik was launched on October 4, 1957, it was the world’s first artificial satellite sent into orbit by humankind. The Russians grabbed headlines by being first. But the Americans weren’t far behind, launching their own satellite, Explorer I, three months later. And with those successful launches the race to space was on. Almost half a century later, a different space race is afoot. 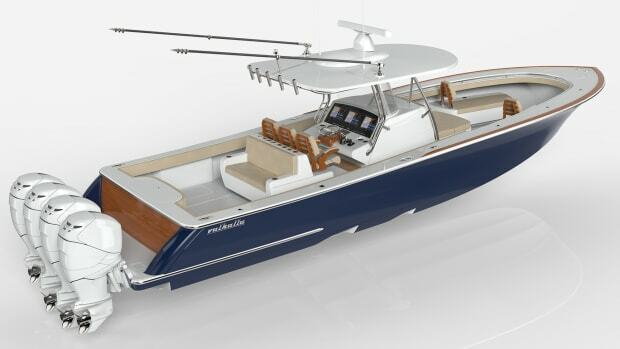 Though earthlier in nature, and more concerned with space as it relates to comfort aboard, boatbuilders like Midnight Express and HCB have their sights set on building the largest center console possible. 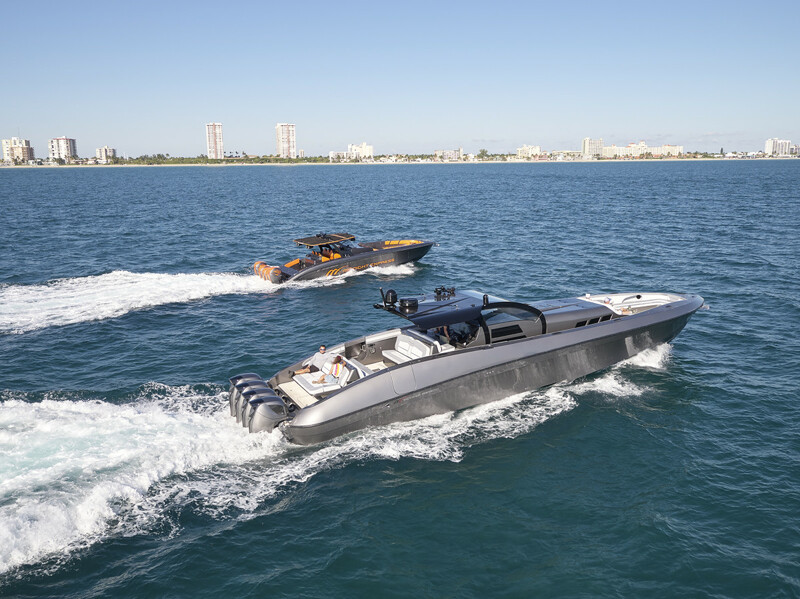 What once seemed like a preposterous notion—gigantic center consoles over 40 feet—was on full display at last year’s Ft. Lauderdale show, where show-goers were treated to the debut of the HCB 65 Estrella and Midnight Express 60 Pied-A-Mer. But with an emphasis on carbon fiber construction, bigger and bigger engines and a willing desire to boldly go where no one has gone before (in terms of LOA), the competition seems like a distant afterthought. 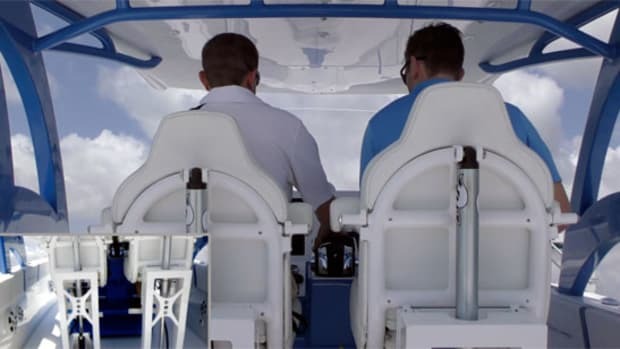 A center console? The 60 is more like a rocket ship. A 15-foot beam provides the 60 with multiple social spaces. 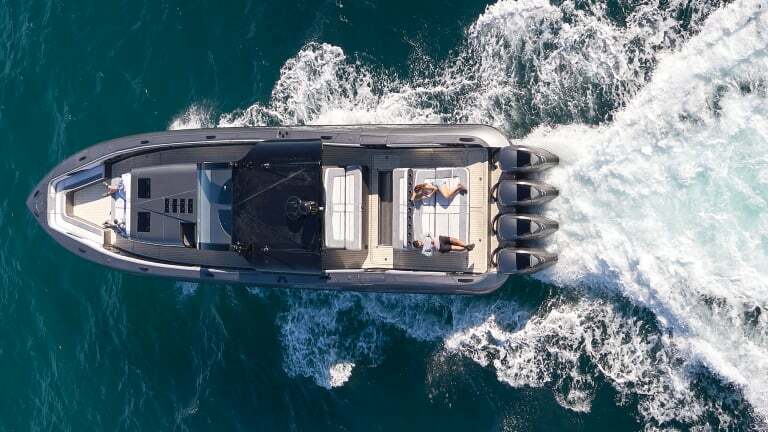 That’s important, because, according to Midnight Express, with the pins down, the four Seven Marine 627 outboards that provide a total of 2,508 hp will push Hull No. 1 to a top speed of over 60 knots. And that’s just with the current engine options. 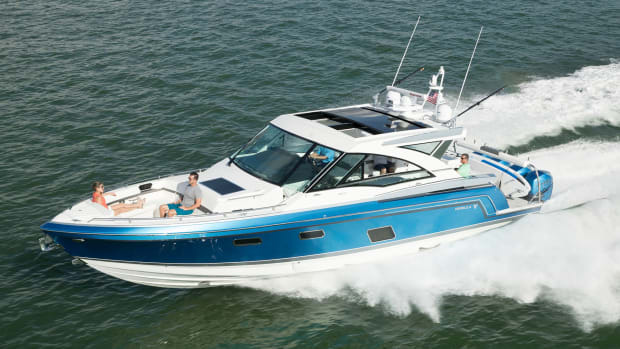 The 60 can also accommodate six 400-hp Mercury Verado outboards—or twin 1,900-hp MAN diesels with surface drives that should clear 87 knots. 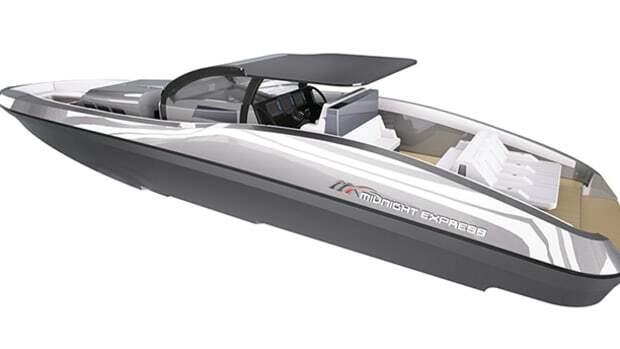 When Midnight Express revealed plans for a 60-footer, they immediately had a backlog of prospective owners, many of whom were interested in upgrading from their 43 Open. Three and a half years later, Hull No. 1 was completed, in part because the 100 or so employees at the builder’s Miami facility couldn’t build fast enough to keep up with demand. 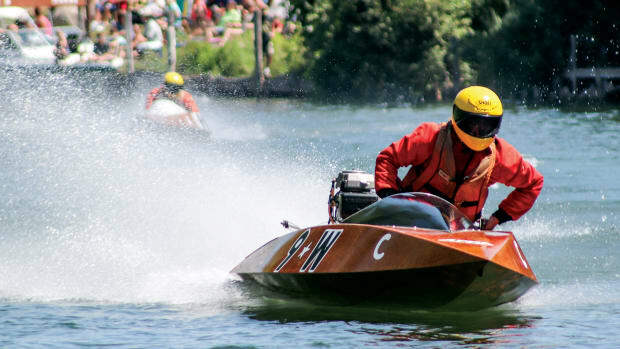 “We built it all in house,” said Glaser, “all the molds and everything. 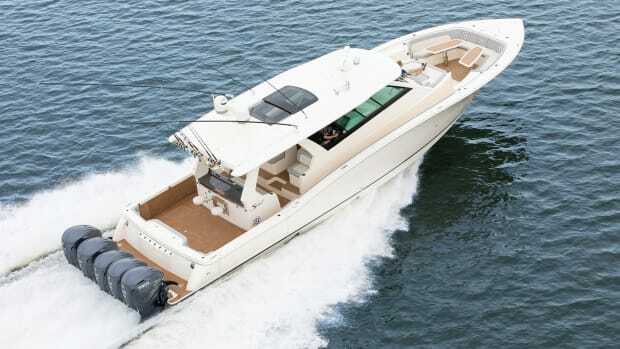 On my next project, I’m going to sub everything out and get it out quicker and should be able to punch them out faster.” According to Glaser, the current backlog for the 60 is eight to nine months, with Hull No. 2 in mold. At press time, there was talk of building Hull No. 3 entirely in carbon fiber. Which says nothing of the elephant in the room. 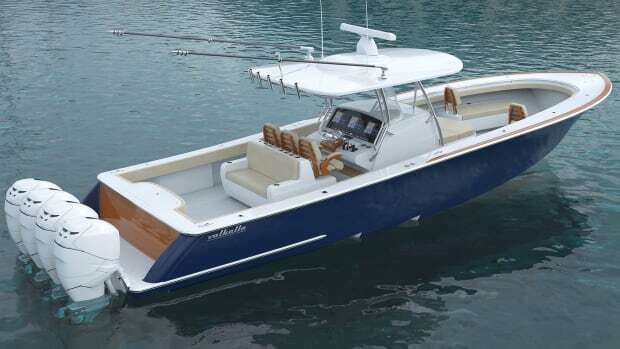 “I have a hull mold for a bigger [center console],” said Glaser, “but it’s not even on our radar right now. We have to see how the 60 does first. 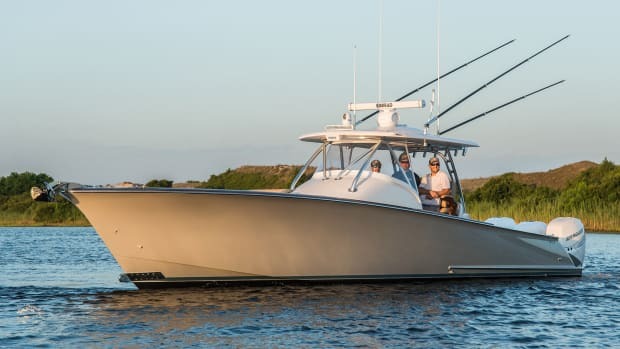 We’re developing a boat right now to bridge the gap between the 43 and the 60; I hope to have that at Ft. Lauderdale next year.” He just doesn’t know if he’s going to have enough space. 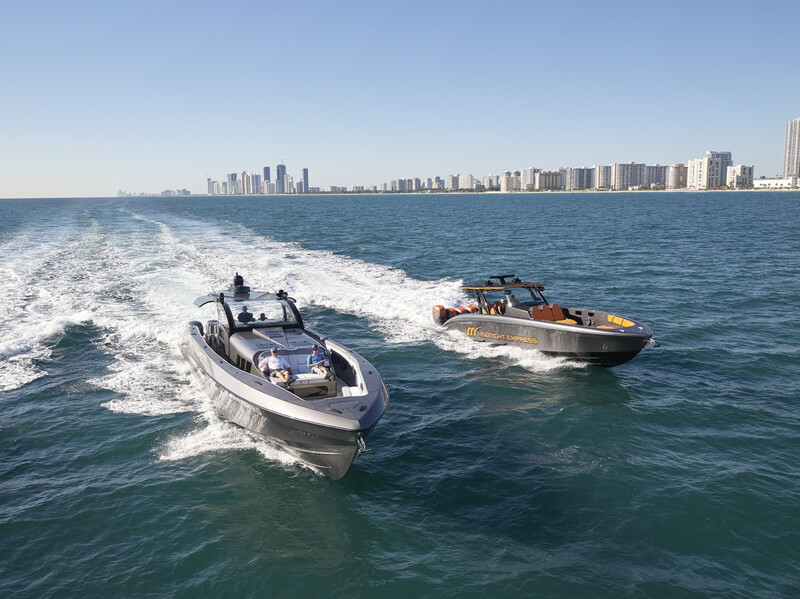 This article originally appeared in the February 2019 issue of Power & Motoryacht magazine.